Super dense impact resistant multi-layer gel integrated Padding over knuckle-side and added block padding over wrist. 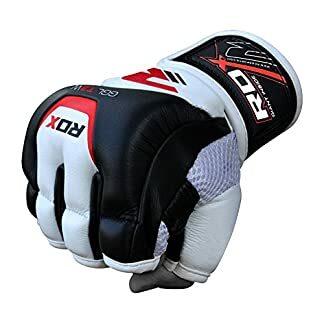 Martial arts RDX®’s Maya Hide leather MMA Grappling gloves sheathes the insides of this hi-tech, durable, yet light weighted pair of sparring gloves. Plan on fighting in the cage? Then increase your punching power by training with these gloves. 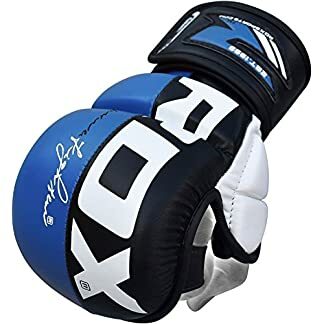 Dense padding over knuckles with gel-lining between slabs of triple layered padding for advanced shock-absorption, without disfiguring or de-shaping. Palm-O architecture provides perfect grip and ventilation. 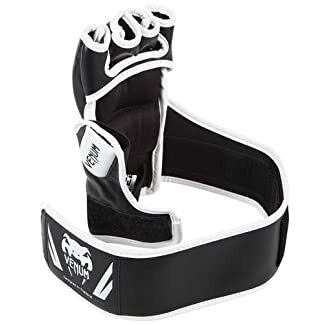 Extra-long strap with Quick-EZ Velcro closure delivers optimum-wrist support, avoiding injury and enhancing technique. 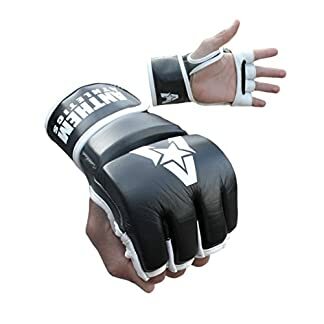 These gloves were engineered for martial arts.